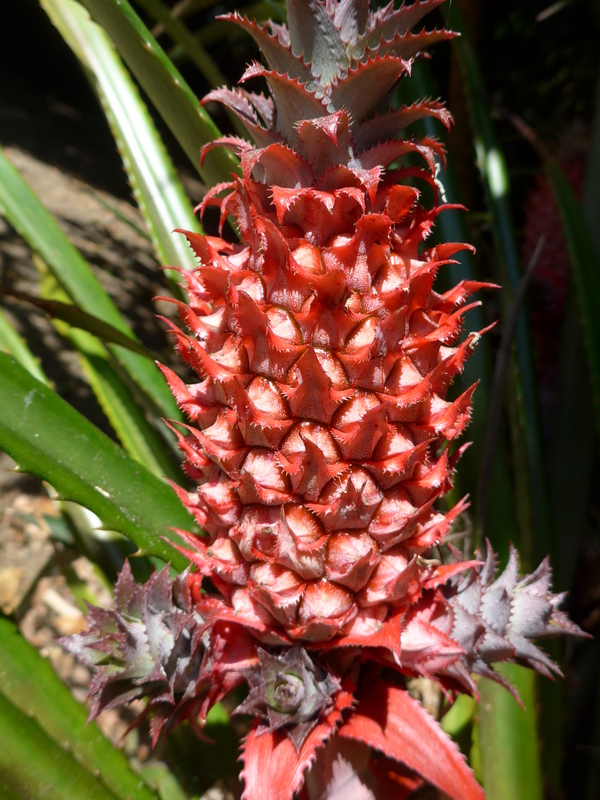 The Red Pineapple here in the gardens at Wharepuke in Kerikeri NZ are maturing but still have a way to go. They have a good crop this year. Red Pineapple are part of the Bromeliad family. A pineapple is formed when the many flowers form a cluster of fruitlets which enlarge and mature forming a single pineapple with a fibrous stem running through the middle. The skin is tough and waxy, red in colour. When ripe the flesh is sweet and juicy, pink-yellow. The fruit weigh about one kilo each.